Privately owned and operated by owner/driver with 30 years Institute of Advanced Motorists experience. 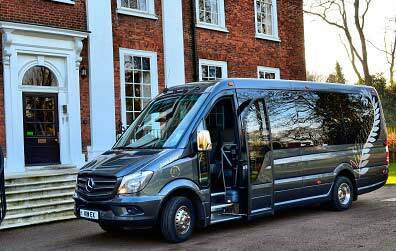 We can offer a high degree of personal service taking extra care of our passengers. Conveniently situated close to M25/M20/A2 , Central London and The Channel Tunnel. Airports, Cruise/Ferry Terminals, Weddings, Funerals, Corporate events, Company road shows. For a family evening out or a days hire we are happy to quote or to advise. Kiwi Executive Travel currently holds a National licence. "Thank You Malcolm. Delighted you enjoyed your trips , I will not tell you how much it cost to arrange for Mr Salah to score a goal for your clients !!! Kind regards Kevin @ KiWi"
"Kevin was on time, smart and very helpful. He did extremely well dealing with 12 loud annoying passengers. Our flight home was delayed home and a crash on the M25 meant a long detour to get home. He dealt with this superbly and was accommodating when it come to extra drops off caused by the detour. I would highly recommend using the very clean and comfortable coach." "Hi Darren and the chaps Thank you for that, you were all fine !!! Good luck to the groom for the wedding Kind regards Kevin@ KiWi"
"The driver was really understandable and stopped so we could get some money out and stopped on the way home to let some girls off somewhere else. Was really welcoming and we left a tip :)"
"Hi Megan Thank you for that , for your part your group was a delight and pleasure to drive. Polite and well behaved !! Enjoy the summer Kevin @ KiWi"
"The coach was very clean and comfortable/luxurious. Kevin is smart, friendly and helpful and always on time. This is the second time we have used Kiwi and would thoroughly recommend them for groups of up to 16." "Muchos Gracias Pleased you all had a good holiday. Kevin @ KiWi"
"The experience was excellent. Pick up was on time both ends of the journey and the driver was extremely helpful with the extensive luggage that we had. Very clean and professional." "Thank you Sheila Delighted you all had a great Holiday and we played a small part Regards Kevin @ KiWi"
"Kevin was wonderful. The minibus was emaculate & Kevin happily loaded up all our luggage & various wedding bits & pieces. The journey was very smooth with water made available to us. On the return journey one of our younger passengers was feeling unwell & Kevin gladly stopped so he could get out for a bit to feel better. I would most definitely recommend Kevin & will be calling him again if we need a minibus in the future." "Thank you Louise Most Kind, trust the family all got home safely. Kind regards Kevin @ KiWi"
"Dear Kevin Thank you so much for looking after my group last Sunday. Your help was wonderful and in particular Beryl says thanks. I shall certainly recommend you to other groups and hope that we might be able to use your services some time in the future. Thanks once again. Fran "
"Good morning Kevin just wanted to say thank you for the service you provided on Saturday you helped to make it a stress free day will be happy to recommend your firm to all my friends. Sharon."